With wifi smart socket, You could turn on or off connected devices wherever you are at any time through any internet connection. 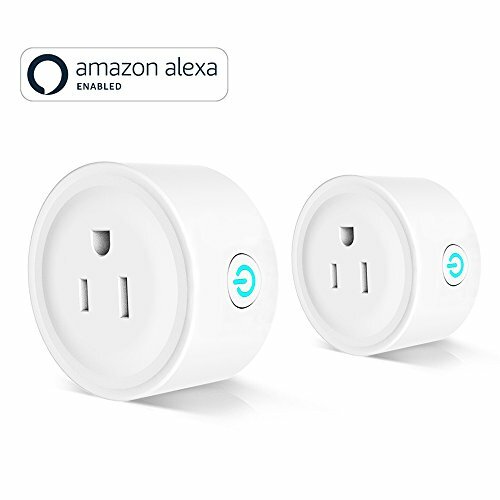 Featuring the latest innovation and most reliable technology, the wifi smart outlet can help you power on/off your appliances via voice control with Amazon Alexa Echo and Google Assistant compatibility. YCGRE smart plugs are meant to make everyone's life easier, so giving access permission to other users is as simple as accepting a request from another Smart Life account. Revoke access at anytime. Featuring a compact and discreet design, YCGRE smart plug fits into any electrical outlet and designed to keep second outlet available for use. Smart outlet is ETL and FCC approved and equips you with a powerful smart chip to control your electronics via phone app. Built it with that in mind, you can also protect your appliance from overuse, overheating, and overloading. Create schedules to automatically power on or off your home electronics appliance at any time according to your daily routine and preferences. Get a kettle started boiling even before you're out of bed, or start preheating the oven As you're pulling up the driveway. Not only does it give you control over everything, but it also saves your money from unnecessary use of electricity.